Keep it neat. Make your resume have a clean and uniform appearance. If you use one style of paragraph formatting at the start, stay with it. Don’t think you can impress anyone with your massive collection of fonts, either. Find a clean, professional-looking one that is easy to read. Have your sections well-defined and use bullet points for your lists. Contact information. Make sure all of your contact information is up to date. The first phone number you list should be the one at which it is best to contact you. Make sure your physical address is up to date, especially if you’ve moved in the past couple of months. Finally, have a professional sounding e-mail address. An address of “jsmith@anymail.com” will get a better reception than “lotsalolz1984@funkytown.com“. Keep your professional e-mail separate from your casual e-mail. Opening statement. Always have an opening statement that is sort of a summarized cover letter. It should state your skills and experiences that you feel make you the ideal candidate for the position. Keep it short and sweet, yet informative. This is your “handshake”, so don’t overdo it. Experience. Here is where you want to get descriptive. For example, you might have said in your opening statement that you are very organized. In your experience section, you’ll want to highlight experiences where that sense of organization played a significant role and was beneficial to the company you worked for. Whatever your experiences or accomplishments, quantify them whenever possible. Don’t just say you “streamlined the invoicing process” when you can say you “cut the invoicing time down from two days to two hours”. Keywords. 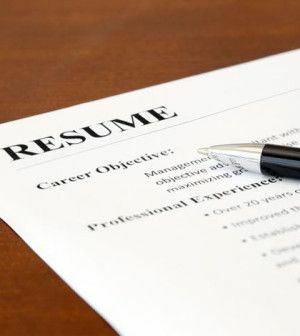 Many companies these days are using software to sift through resumes and look for keywords. The job listings often contain some of these keywords, so read it carefully and try to include them when you can. Many of these programs aren’t looking for verbs, though. Read the job and look for nouns and noun phrases and incorporate them into your resume. Writing a resume is work, but it doesn’t have to be hard work. Contact us and let us help you get started! Tags: myopenjobs.com, resume, tips on finding a job. Bookmark the permalink. Previous post ← 4 Tips: What do you do if you get stumped during an interview?